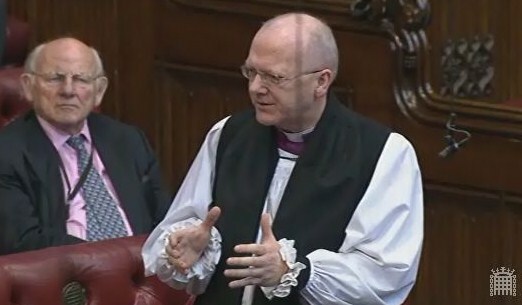 The Bishop of St Albans spoke of the role of education in fostering creative skills and the ongoing place of churches and cathedrals in encouraging music, arts and craft. My Lords, I am glad to join in this debate and I thank the noble Baroness, Lady Andrews, for bringing this matter to our attention. I want to focus on a much more limited area this afternoon, if I may, by thinking a little about education and about the role that voluntary organisations play in this area. I shall use some illustrations from schools, colleges and universities and say something about the small role that the church plays in trying to do some of this. On Tuesday morning, I made one of my regular visits to a school. I went to Sutton Church of England school near Biggleswade. It is a tiny rural school led by an excellent head teacher, Sarah Stevens, and it has been classed by Ofsted as outstanding. As I was taken around, I found myself in a corridor where a girl who was receiving a violin lesson gave me an impromptu concert. She was delighted and we all clapped. I noted that it was taking place in a corridor because there was nowhere else for it to happen but creativity was a key part of that village school. Indeed, many children there are learning musical instruments. Yet when I go into schools, I hear again and again about the pressure on the curriculum which is squeezing out some of the things that teachers would like to do creatively, which is surely one of the most important things. I would guess that your Lordships, like me, can think back to their own schooling and to one of those inspirational teachers who not only spotted creativity but learnt how to draw it out. They helped the child believe that they could do something creative and offer it to others. Well, we have lots of very good schools which are working on that. I think, for example, in my own patch of Wootton Upper School and Arts College and Tring Park School for the Performing Arts. There are also excellent performing arts departments in the two local universities, which I know very well, of Hertfordshire and Bedfordshire. However, we need to find ways to recognise and celebrate what they are doing. They are providing the actors, producers and everybody else for the future of our theatres. Britain also has a wonderful tradition of musical performance and singing. We play a little part in that with our heritage of music in our cathedrals, collegiate institutions and some parish churches. It is there that many of these young people discover not only that they have a voice but how to train it. This has nothing to do with schools or with government. Many professional singers started off in precisely these places and are now singing either in the classical repertoire or in popular music. I am thinking of Charlotte Church, Aled Jones and Gareth Gates, all of whom have made a real contribution to the economy. The recent “Sing Up” initiative by the Government has helped to reverse the decline of singing among children and cathedrals have been active in it. In my own cathedral, we have choristers taking part in the termly chorister outreach concerts organised by the Hertfordshire Music Service. Since 2008, we have welcomed 48 schools and nearly 4,000 children have been learning together and performing. This is at the point when they begin to grasp the idea of a creative way of living. With relatively little extra financial help, much more could be achieved. For example it was in one of my parishes, South Oxhey, which is in a relatively poor area near Watford, that the local parish priest, Canon Pam Wise, persuaded a certain Gareth Malone to form a choir. That turned into a TV series and has raised self-esteem hugely in that area. I confess that it may not have made much of an economic contribution but it has certainly made a huge contribution to self-esteem and social capital. These are vital things. Our cathedrals are also particularly active in the commissioning of music and art, such as stained-glass windows and sculpture. We have just commissioned 12 new statues for our nave screen which will take craftsmen two years to complete. Cathedrals are one of the main employers of apprentice stonemasons; a recent project between the University of Gloucestershire and eight cathedrals has been on just that. I believe that as well as having large national government initiatives and encouraging business, we need to think hard about supporting schools in developing creativity and about the voluntary organisations which want to be part of this, if we are to capitalise upon our long history and develop the creative aspect of our national life. It is from here that many talented and gifted young people come. They have the potential to make a significant contribution not only to society but to the economy. Lord Gardiner of Kimble (Con): [extract]…As the Chancellor said, about £20 million of public money is going to help cathedrals. I want to refer to what the right reverend Prelate said about singing and what the noble Baroness, Lady Warwick of Undercliffe, said about conservatoires. We clearly need to make sure that music-making, which is such a key feature of national life, is encouraged….